If you’ve ever used a water filtration system or pitcher, you’ve already seen the benefits of activated charcoal in action. Activated charcoal does essentially the same thing in your intestinal tract that a charcoal block does in your water filter. Toxins and chemicals bind to the activated charcoal, and since the charcoal doesn’t get “digested” per se, these toxins are then flushed out. It can attract and trap thousands of times its own weight in gases, toxins, food additives and other chemicals. In fact, activated charcoal is estimated to reduce absorption of poisonous substances by up to 60%. Even more, it can absorb over 3,000 known drug residues, making it an essential ingredient in Jon Barron’s Colon Regenerator™ formula. One unexpected use for activated charcoal is its ability to help whiten teeth naturally. In the same way it works in the body, it adsorbs plaque and toxins from the mouth, killing bad bacteria and removing stains. Another positive effect of activated charcoal is that it may help reduce gas and bloating when eating known gassy foods. A double-blind clinical trial showed that symptoms of bloating and abdominal cramps attributable to gaseousness were significantly reduced in both groups by activated charcoal. In addition to some of the benefits already detailed, you will probably find activated charcoal in many natural remedy first aid kits in case of bug bites, rashes, and even acne. It is known to help with issues ranging from mosquito bites to bites from snakes and poisonous spiders. As mentioned earlier, activated charcoal is a key ingredient in Jon Barron’s Colon Regenerator formula, and for good reason. Even with an extremely healthy diet, our bodies are exposed to countless toxins from our environment, the food we eat, and the water we drink, which can create an unhealthy stress on our bodies and organs. Removing these toxins can provide many positive side effects from more energy, less joint pain, increased mental functions, a decrease in premature aging and improved digestive functions. Activated charcoal helps absorb and flush out the toxins that are causing damage and extra stress to our organs, allowing our entire body to function better. It's important to note that activated charcoal is NOT the charcoal you use for barbecuing. Activated charcoal comes from natural sources such as coconut husks, wood, coal, nutshells, and peat that have been activated using gases and then exposed to high temperatures. Activated charcoal WILL STAIN grout and fabrics. Make sure to protect counters, floors and clothing before using. While activated charcoal is considered safe for some types of poisons and drugs, it may not be effective for poisoning related to cyanide, lithium, alcohol or iron tablets. It also is not used to treat poisons such as strong acids or bases. Always call your local poison control center immediately. 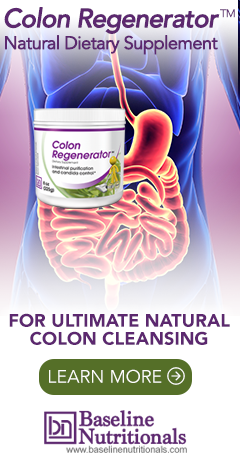 More on natural colon health. If charcoal capsules are taken before or after a meal will vitamins and minerals be absorbed along with toxins? You should check with the manufacturer of your capsules, but usually you wait 20 minutes to take any vitamins before and after taking charcoal powder. Dear Jon, I read your article with great interest but find myself unable to choose because of the choices available. I'm not sure where to turn as I do not as yet to my own knowledge have any thing that is a critical health issue upon which to focus. While I'm not actually expecting to speak to you... I'm not sure I would have any confidence speaking to some in a call centre who's knowledge is I imagine likely to be either limited or too narrow in scope to answer my questions. We are not really sure what you are asking, but due to obvious legal issues, we can not diagnose or prescribe, merely provide information. If you have a general question about any health information, we will do our best to answer.